Probiotics can do impressive things for your overall health. They promote efficient nutrient absorption, better digestion and even support your immune system strength. But some people have to avoid them because of food allergy issues. Many probiotics are formulated (fermented and processed) using dairy products or ingredients that may contain gluten. That's why Jarrow Formulas offers Allergen-Free Jarro-Dophilus AF. It provides you with 6 beneficial strains of bacteria without using any major food allergens. No dairy. No eggs. No soy. No wheat or gluten. 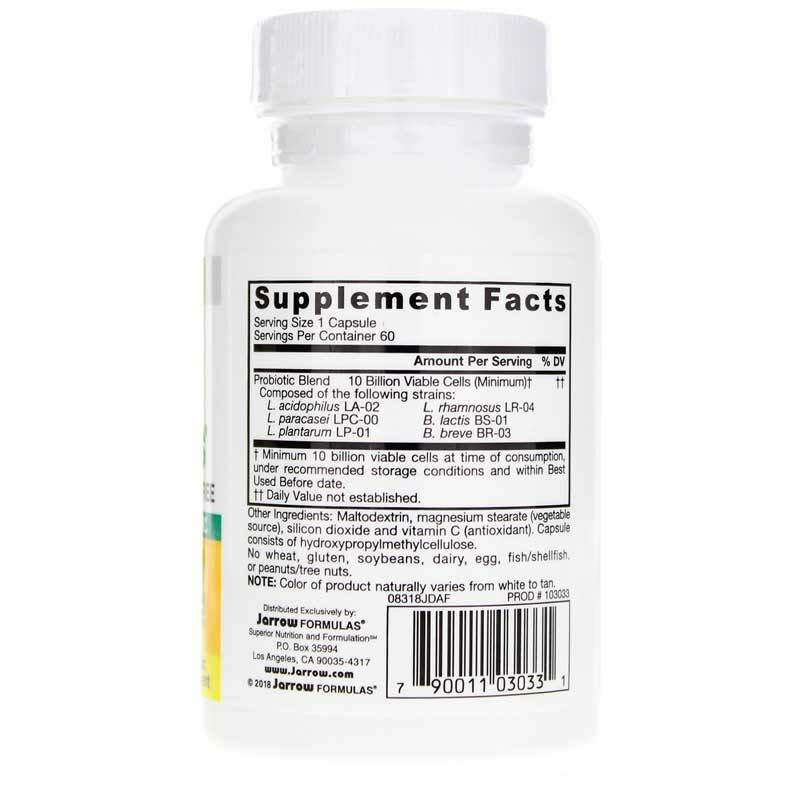 The friendly bacteria used in this supplement are all clinically-studied strains. If you've been avoiding probiotics because of your food allergies - it's time to change that! Discover how adding a probiotic to your daily supplementation can improve your overall health. You can also choose to use this product with young children who deal with food sensitivities. Just open a capsule and put the contents in their food or drink. 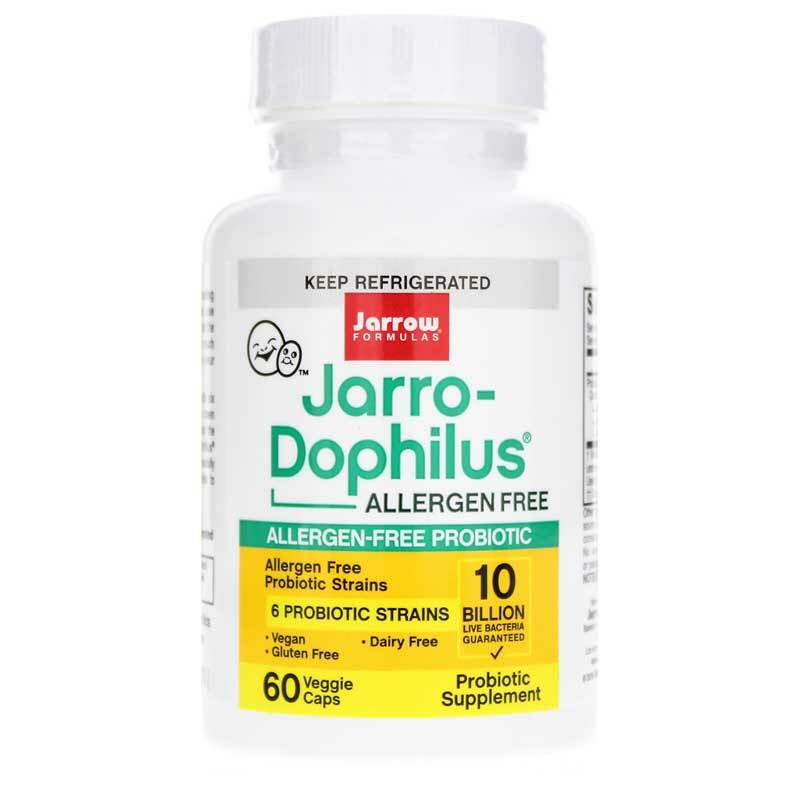 Order Allergen-Free Jarro-Dophilus AF from Jarrow Formulas today. Other Ingredients: Maltodextrin, magnesium stearate (vegetable source), silicon dioxide, and vitamin C. Capsule consists of hydroxypropylmethylcellulose. Contains NO: wheat, gluten, soybeans, dairy, egg, fish/shellfish, peanuts/tree nuts. Suitable for vegetarians/vegans. Note: Color of product naturally varies from white to tan. Adults: Take 1 capsule 1 or 2 times per day with water and a meal. For infants and children, open capsule and mix contents with water or unheated liquids such as fruit juices or foods. Or take as directed by your qualified healthcare consultant. 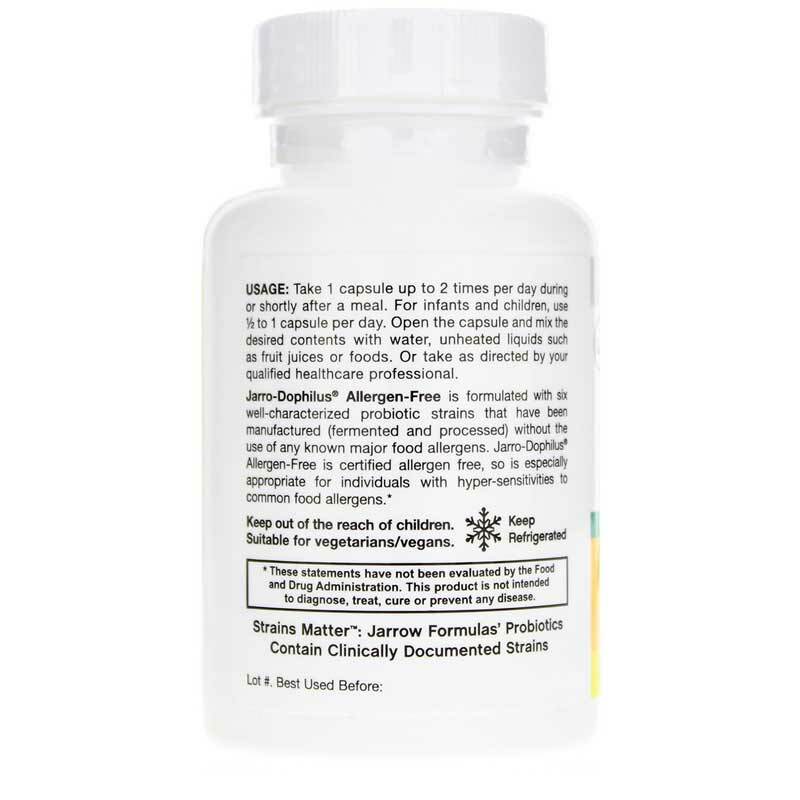 Jarro-Dophilus AF Allergen Free is an excellent choice for people who don't require a long shelf life because they use up all 60 capsules within a very short period of time. I feel much better since having starting this probiotic.